With so much to see and do in London, no one wants to waste time queuing to buy tickets and enter attractions. The London Pass gives you 2 days to explore up to 60 of London’s top attractions with fast tracked entry to many, saving you time and money. 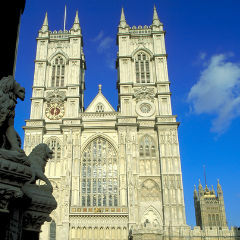 Take a cruise down the Thames and visit the Tower of London, Westminster Abbey, Shakespeare's Globe Theatre, Kensington Palace, The Museum of London, Windsor Castle, Churchill War Rooms, The London Transport Museum, The London Bridge and Tower Bridge Experiences, Kew Gardens, London Zoo, Charles Dickens Museum and many, many more. View full list of inclusions. It also gives you discounts with shops, tours and other attractions. 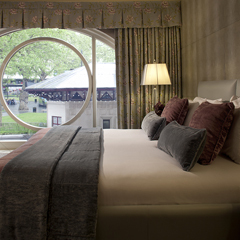 Use the booking panel to the right or call our reservations team on +44 (0)20 7764 0523 quoting ‘2 Day London Pass Package’. Please note, you will be given a voucher to exchange for the 2-day London Pass which needs to be collected from The London Pass Redemption Desk, close to Leicester Square tube station. One of our team will be happy to give you directions. Rates may vary by season and size of room. Guests will be given a voucher for their London Pass upon check-in, which guests can exchange for their 2-day London pass at the visitor centre. 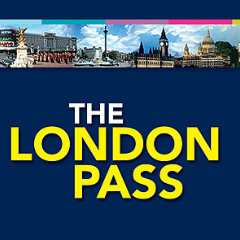 Please note, the London Pass must be used over two consecutive days. Please keep your London Pass safe, as lost or stolen cards cannot be replaced. It may only be used by the cards signatory. Your London Pass is valid for consecutive calendar days as appropriate. Plan your itinerary carefully. Your pass is activated from first use (scan barcode). Activation is recommended first thing in the morning to make maximum use of the card benefits.